OR, complete the contact form at the bottom of this page. We use our proven Fast Fit System, where we take care of everything for you, from conception to completion. We also GUARANTEE a timely renovation and workmanship. 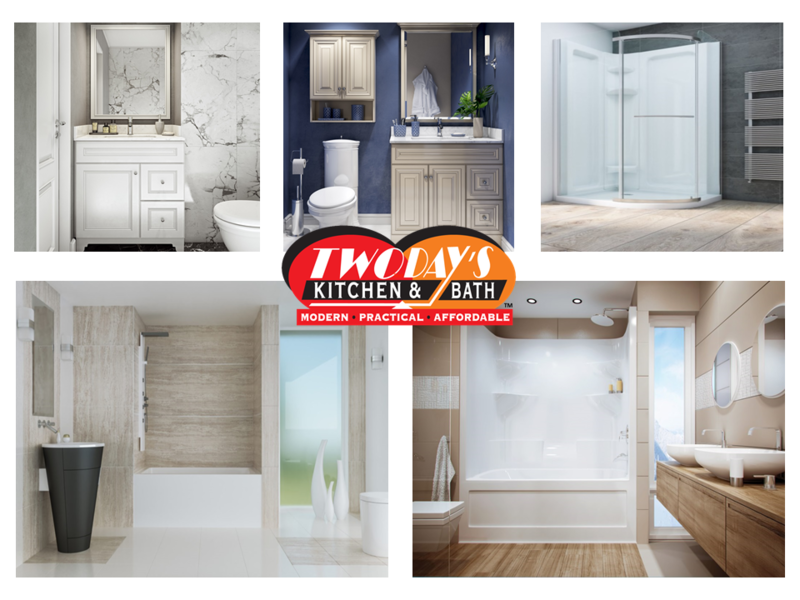 We remove all of the old, the mold and the ugly of your current bath system and replace it in the same space. PLUS we install gorgeous Tarkett® FiberFloor® a quality one-piece flooring system that is warm to the touch, soft to walk on, non-slip, mold and mildew resistant, a beautiful vanity with faucet and matching mirror and a high quality American Standard toilet. 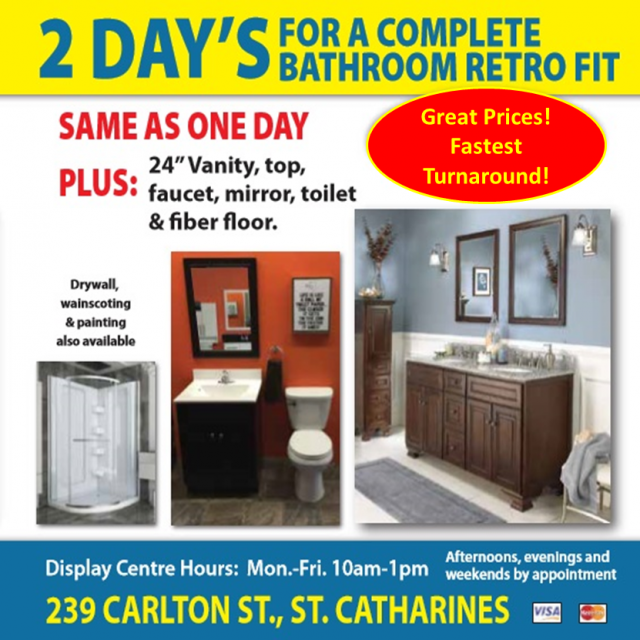 We serve St. Catharines, Niagara Falls, Welland, Pelham, Niagara-on-the-Lake, Port Colborne, Thorold, Fort Erie, Crystal Beach, Grimsby, Lincoln, Wainfleet, West Lincoln as well as the Hamilton area.